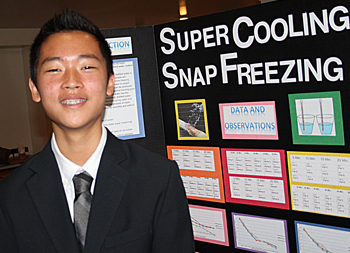 On April 13, 2013, eight junior high students from the Historic Anaheim campus participated in the Third Annual Sage Hill Mathematics Invitational. The 7th grade team consisted of Michael C., Adnan I., Michael K. and Jocelyn L., while the 8th grade team consisted of Ejay C., Han C., Tara F. and Ronik K. It is a one-day team-based competition for local middle schools. Its goal is to promote and celebrate mathematics by providing a fun environment for middle school students to collaborate and share their interests. 1st place - Michael C.
2nd place - Michael K.
2nd place - Ejay C.
Anaheim Hills Preschoolers Love "Week Of The Young Child"! The Week of the Young Child started off with a high-energy "Kids are Super" show by the Nick Anderson Music Company. All the preschoolers were dancing and jiving and giggling with joy as they pretended to be butterflies, trains, frogs and fish! It was so heartwarming to see them thrilled to jump up and down with sheer joy. The preschoolers celebrated Earth Day by planting a dwarf orange trees, carrots, daisies, broccoli, sunflowers, cucumbers, pumpkins, and watermelon seeds in the preschool garden. Our littlest gardeners really were showing us their 'green thumbs' with their shovel and careful planting skills! Community Helpers Day was exciting as our preschoolers were visited by the Anaheim Police Department and the Anaheim Fire Department. We are so thankful to our wonderful police and fire departments for their time and kindness! Our preschoolers truly were in awe of the big trucks and sirens! A very special treat was a visit from the Anaheim Police K-9 unit, and our preschoolers loved seeing "Jager" and learning about his training. On Thursday all our littlest students loved playing with bubbles and sidewalk chalk! We all loved having our faces painted!! International Day was a very special way to finish this very special Week of the Young Child! Our students wore clothing from their native country or just a favorite costume and had a parade! Next on the agenda for the day was a language lesson, as a story was read to students in different languages. And of course the perfect way to end a special day and a special week...ice cream!! 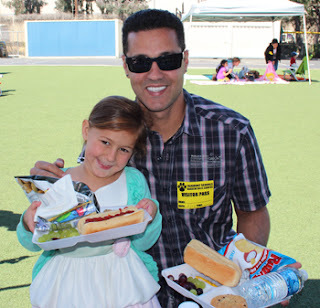 The North Tustin Campus Student Led Conferences were very successful. Kindergarten - 8th grade students presented a profolio to their parents and discussed their academic achievements and experiences. The first grade team has received many positive responses from both parents and students. Students worked with their teachers, Mrs. Fraser and Mrs. Chewning, to choose their favorite and best examples of academic subjects to share with their parents. These extraordinary works were then separated into 5 academic categories and organized in portfolios. Both teachers held coaching sessions with their students to prepare them for their presentation to parents. Each student completed a summary sheet with academic goals and objectives for the current trimester, and a Behavior Report Card with their personal ratings for categories like, "Do you finish your work in a timely manner?" and "Is your desk clean and neat?" These prompts helped children explain portfolio choices to their parents and guided them through the conference process. All of the students took great pride in their presentations, and parents were pleasantly surprised at how well they handled themselves during the conferences. Thanks to everyone who attended the conferences and to our wonderful students who were "Shining Stars" in their roles! The last day of school--it's something kids look forward to all school year long (even if they secretly love to learn). Students, teachers and parents yearn for the slightly less structured days of summer. There are no tests to study for, no special projects to complete at the last minute, and no homework for the dog to eat! The tricky thing about summer is that as soon as the last school bell rings, kids brains begin to suffer from what is known as "summer learning loss". Find out more about Fairmont's summer programs including day camp, summer school and enrichment programs by visiting www.fairmontsummerprograms.com. Save 10% on summer school and summer camp if you enroll by April 30th! SNACK TIME pass the pears please! 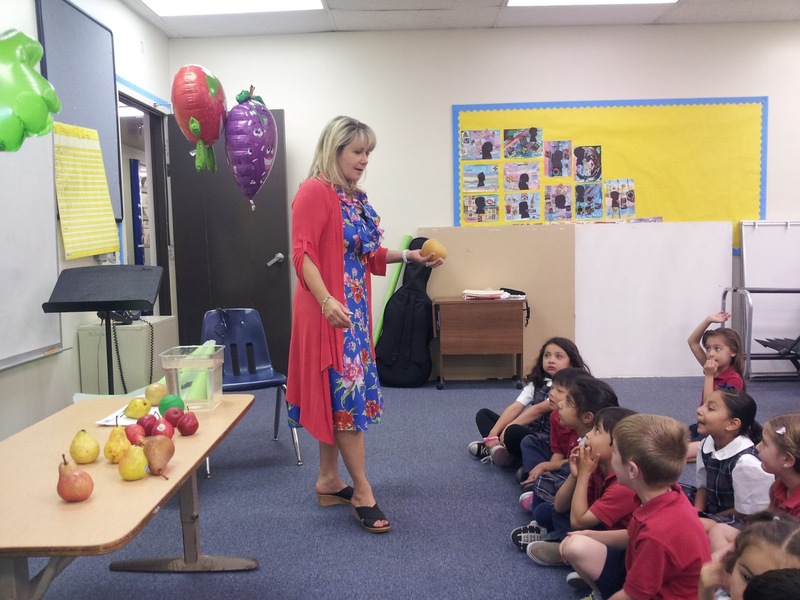 On April 10 and 12, the preK – K children at Anaheim Hills and Historic Anaheim Preschool students enjoyed an interactive presentation about PEARS. The children learned that pears come in a variety of colors, shapes and sizes, even flavors. Do you know your pear varieties? Can you guess? Hint: Some varieties come in more than one color. Yellow? A Bartlett pear turns from green to yellow when fully ripe. Green? The Comice or Green Anjou pear is sweet and stays green even when fully ripe! Red and Green and tiny? The Seckel are bite-size, crunchy and super sweet. They are green with a dark red blush. Perfect for a child’s lunchbox or after school treat. Beige and round and crunchy? = an Asian or “Apple” Pear. These pears are unusual because of their unique shape - not your typically bottom heavy pear shape or flavor. Some students thought this pear looked like a softball because it was so large and round. Healthy habits are easier to practice when learned early. The children were good sports and enthusiastically sampled a fresh pear, a canned pear and a dried pear. Everyone had smiles and some students asked for seconds. Do pears float or sink when placed in water? The children had fun guessing if the same size apple and pear would float or sink in a large container of water. Guess what? Apples float! Pears don’t! Apples float because they contain more air. Pears sink because they are more dense than apples and contain less air. Pears can’t “breathe” or exchange oxygen and it’s also the reason why apples stay fresher longer. Pears are one of the few fruits that don’t ripen on the tree. Check the “neck” of the pear for ripeness. If it gives under pressure, the pear is ready to be eaten. If it’s still hard, wait a couple more days. For best results, ripen at room temperature for 4 to seven days. Some pears, like the Anjou can take up to 10 days to fully ripen. A ripe pear is a sweet pear and is worth the wait. Monday is Earth Day! I love that we have a holiday dedicated to our beautiful planet. I try to instill a love of nature into my kids daily, but there's nothing wrong with a little reminder. 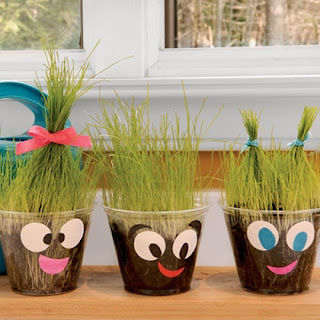 Here is a cute craft from spoonful.com that will last longer than just a day, will beautify your home, and will teach your kids about how nature works! You'll only need a few things to get started. So go get planting! 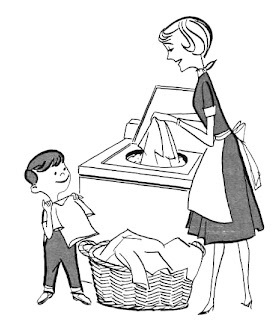 With four kids under the age of 9, I have a lot of work to do at home. Constantly. Since launching Fairmont's summer program, we've all had fairy tales on the brain. We love those "happily ever after" stories complete with princesses, dragons, and magical godmothers. But fairy tales are even more fun when they're told with a twist, like these five original takes on familiar tales.